SPECTACULAR location with SPECTACULAR views in the heart of Short Sands Village! The beach, Goldenrods & York's Wild Kingdom are all footsteps away -- LITERALLY! This BEAUTIFUL updated 2-bedroom/2-bathroom PENTHOUSE SUITE condominium, accessible by elevator on the 4th floor of the iconic Atlantic House, is the perfect summer vacation destination for the whole family. Upon entering you will immediately appreciate the high-end finishes, hardwood flooring, two gas fireplaces, wall-mounted 42" flat screen TVs in the living room and master bedroom, gorgeous bathrooms, central A/C, and in-unit washer/dryer. The well-appointed kitchen features stainless steel appliances, a prep station with butcher block top, FlexBrew coffee maker (brews a full pot AND K-cups), microwave/toaster, and all the common amenities necessary for preparing breakfast, lunch and dinner. There is a dining area adjacent to the kitchen which also opens up to the spacious and comfortable living room. The living room features a gas fireplace with a wall-mounted 42" flat screen TV above. There is a queen-size sleeper sofa with memory foam mattress, and beautiful beachy decor throughout the unit. And there are bold ocean views of Short Sands Beach and the Village from the dining area, living room and front bedroom. The master bedroom is a true sanctuary. It has a comfortable queen bed, a gas fireplace, and an en suite bathroom with a large soaking tub, tiled floors and radiant heat under foot. The master BR also has a separate entrance so that it can be sectioned off from the rest of the condo for complete and utter privacy if needed or wanted. The second bedroom is light and bright with a full closet and queen size bed. For your convenience, we have two free parking spaces and an outside storage locker with all the beach equipment you could possibly need including 4 adult beach chairs, a beach cart, a beach umbrella, 2 roll-up beach mats, 2 boogie boards, 2 large inflated tubes, and an insulated cooler. Sand Dollar Bar and Grille (Seasonal) is LOCATED ON THE 2ND FLOOR of ATLANTIC HOUSE. Once outside the Atlantic House you can go to the beach, to Fun-O-Rama, to Goldenrods, or to York's Wild Kingdom. You can also jump on the York Trolley to Long Sands Beach or the Shoreline Explorer Trolley for a day in Ogunquit. It's ALL right here...Shorts Sands Village restaurants, shops and FUN are right outside your door! We stayed the weekend of Oct. 12, 2018. The place was very clean, quite and nicely decorated with very nice views. I'd stay here again and would highly recommend it to anyone looking for a nice relaxing stay. We stayed at Dee & Doug's condo October 3-7, 2018 and had the most wonderful experience! The location to Short Sands beach, shops and restaurants is perfect. The unit is well appointed with everything one needs for a comfortable stay and is beautifully decorated - we felt at home the minute we walked in. There are ocean views from the living area and one of the bedrooms. Additionally, Dee's communication prior to our visit ensured a smooth arrival and check-in process with no surprises. I was very impressed that the unit provided linens, soaps, and paper items for our stay - we just had to bring in groceries! Not to spoil it for future renters, but Dee's handwritten welcome note with a fun treat really added that special touch to our arrival. This unit is a great option for couples. This place is located steps from the beach. Walked on the beach every morning and night. We went up after the summer rush and it was perfectly peaceful just the vacation we were looking for. Thank you Dee and Doug for sharing your beautiful condo with our family. Looking forward to next year. My husband and his parents had a wonderful time celebrating their 50th wedding anniversary using this as one of our home bases. The location is incredible with easy ocean access. We sat and watched the tides come and go for hours on the "lawn" across the street. The residence was well appointed with everything we needed for our short stay. The finishes were very high end with luxurious bathrooms. I would definitely return! Had a Awesome golf weekend with some old friends, very clean & comfortable. Walk to beach, restaurants, night-life,& shops. Highly recommend this condo. 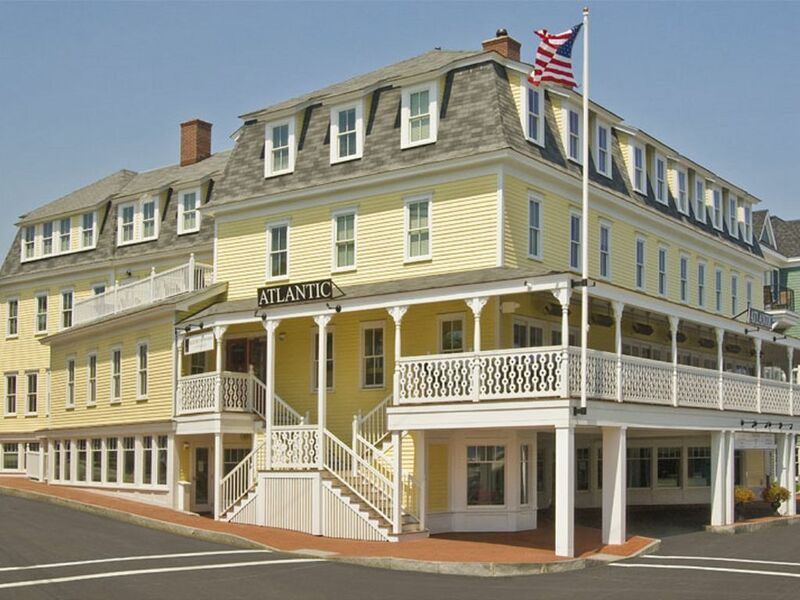 There is a specialty wine shop, organic juicery & cafe, and nostalgic boutique located on the first floor of the Atlantic House, and a full scale restaurant and piano bar with patio dining on the 2nd floor. There's sooo many options without even stepping out of the building.